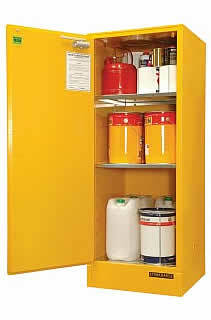 SAFE-T-STORE® flammable liquid storage cabinet with a 250 litre capacity and featuring the patented SAFE-T-CLOSE® sequential closing system. 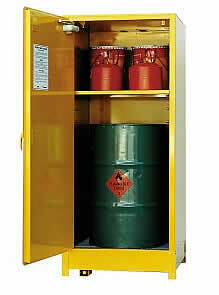 SAFE-T-STORE® vertical drum flammable liquid storage cabinet with an internal roller base 250 litre capacity and featuring the patented SAFE-T-CLOSE® sequential closing system. 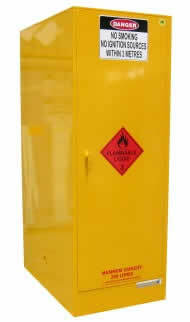 SAFE-T-STORE® flammable liquid storage cabinet with a 350 litre capacity and featuring the patented SAFE-T-CLOSE® sequential closing system.